Hi friends! Are you ready for Thanksgiving? I'm beyond ready. I can't wait to be around family and to eat some delicious food. 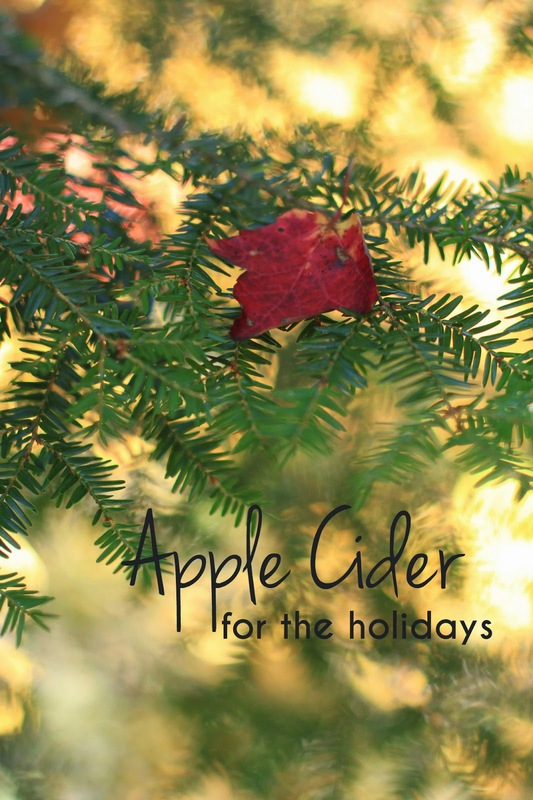 Today I'm sharing a quick and easy apple cider recipe. It's perfect for the holidays, for hosting parties or for a warm drink on a cold winter day. When Dave and I were setting up our wedding registry I knew something I wanted was a juicer. I have a compact Breville Juicer that I use for fresh apple juice. However you certainly do not have to use a juicer for this recipe. Any organic and natural apple juice will do just fine. Add the cinnamon, orange juice, honey and put it on medium-low heat for about 15-20 minutes. That's it! It is simple, healthy and tastes amazing. What's your favorite apple cider recipe? that sounds amazing! :) i love some crockpot apple cider! we normally buy the already made apple cider from Trader Joe's (because we're lazy & my husband is particular about his cider lol) and heat it in the crockpot, but i just may have to try this!! I love apple cider! Just need to get me a juicer! You should get a juicer! I use mine about once a week. It's so healthy and good.